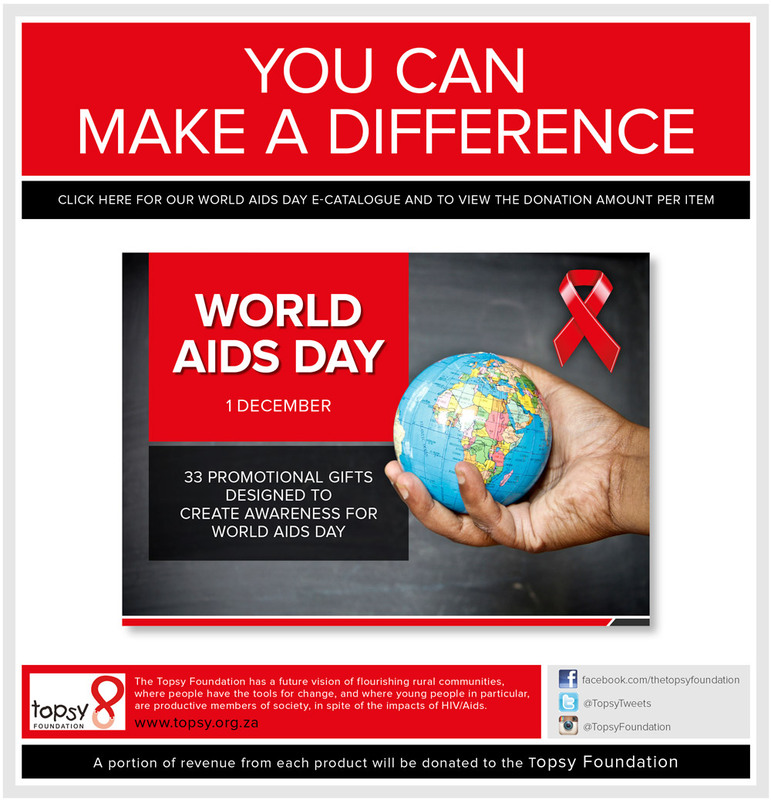 Over the past 8 years, this aids campaign has raised almost R1.5m for non profits like The Topsy Foundation. For those clients who have not previously participated in a World Aids Day campaign, below is a brief explanation of how the campaign works. World Aids Awareness Day is celebrated on the 1st of December and there has been an increasing level of awareness from Companies who are looking out for interesting and inexpensive items to distribute for this occasion.